 GRAY MAGAZINE IS A MULTI-AWARD WINNING PUBLICATION FOCUSED ON ARCHITECTURE, INTERIORS, LANDSCAPE, ART, FASHION, AND INDUSTRIAL DESIGN THROUGH THE LENS OF THE PACIFIC NORTHWEST U.S. AND CANADA. Published by GRAY Media LLC, GRAY magazine launched in Seattle in 2011 by Shawn Williams who sought to raise the profile of the incredible design industry of the region. It is independently owned by Williams, who serves as Publisher and CEO. She is joined by a powerhouse team of MVPs, all based in the Pacific Northwest and the best in their individual areas of expertise. Independently owned and operated in the PNW—all content is developed inside the region. Editors are plugged into the design scene and have genuine personal and professional connections in the market, resulting in the most relevant and authoritative voice for design. An art director in the publishing industry for nearly 30 years, Shawn Williams formed GRAY Media LLC, and launched GRAY magazine in 2011. She independently owns the company, and serves as Publisher and CEO. As a student, she conceptualized and instigated a commercial arts program for her high school that ran for the next 20+ years. She was a graphic design apprentice at Seattle’s Heckler & Associates, working under the best designers in the industry on accounts such as Starbucks, New Balance shoes, and more. She discovered publication design while living in Alaska in the early ’90s and has been in the field since. Just prior to GRAY, she worked for Network Communications, Inc. on Seattle Homes & Lifestyles and St. Louis Homes & Lifestyles. Dixie joined GRAY in 2016 to helm GRAY’s sales department. She has a proven track record, having launched Seattle Met Bride & Groom, and previously led a sales team at USA Today. She works at high-volume and velocity, but even more impressive is her dedication to creating successful partnerships and experiences for her clients. “10 Design Tweeters to Know Right Now” by the Huffington Post. Craig has extensive advertising and marketing experience across the design, professional sports, and television fields. While living in Portland, he has managed marketing and creative services teams while at the Portland Trail Blazers and Fox. will shape the future of the magazine media industry. Kyle represents GRAY in the Canadian market. He has been with Colliers International since 2014, and has experience in everything from large scale proposals to effective social media campaigns. Despite his busy schedule, Kyle still makes time to volunteer, including assisting with communications for the Canadian Olympic Media Summit. As one of our founding editors, Stacy is not only a writer and editor for GRAY but a key marketing strategist for the company. Her history includes serving as market editor for Seattle Homes & Lifestyles magazine and the director of marketing at the Pensacola Museum of Art. Jennifer joined GRAY as Editor in 2016. She is a seasoned writer and editor, having written for esteemed titles such as Harper’s Bazaar, Seattle Magazine, C California Style, San Francisco Magazine, and Boston Common, and was an instructor at the School of Fashion at the Academy of Art University in San Francisco. Laura is a veteran magazine and book editor who focuses on fine arts, design, architecture, and urban planning. Her career has focused primarily on museum publishing, and she has served as editor at the Fine Arts Museums of San Francisco, University of California Press, and the Smithsonian. Rachel has written for GRAY since 2013 and was named contributing editor in 2017. She has also written for The Stranger, City Arts, and Travel + Leisure. Rachel has worked in public relations, marketing, and social media since 2009, and currently serves as the manager of public relations for the Seattle Art Museum. She’s also enjoyed stints at the Seattle International Film Festival and The Derschang Group. Based in Portland, Oregon, Brian has spent the past 20 years as an architecture journalist and critic, as well as a photographer and award-winning filmmaker. He has written for The New York Times, The Wall Street Journal, Architectural Digest, Dwell, The Atlanticand Architectural Record, among others, and in 2004 founded his Portland Architecture blog. ​Lauren Mang is an award-winning writer and editor with more than 11 years of experience in the publishing industry. Her work has appeared in Quartz, PaperCity magazine, Brides.com, Seattle magazine, Oregon Bride, Seattle Met magazine and VMSD. She also manages social media for the annual International Retail Design Conference. Contributing Editor Nessa Pullman joined the GRAY team in 2014 as an editorial intern while simultaneously studying interior design at the British Columbia Institute of Technology. Nessa has a strong passion for design and a love of storytelling, both of which she combines to craft stories in each issue of GRAY. ​Amanda is an accomplished writer, editor, and photo stylist who previously served as style editor at Seattle Met and editor-in-chief of Seattle Met Bride & Groom magazines. She has since launched a full-time freelance career working with travel, design, fashion, and lifestyle clients, in addition to traveling the world as a guidebook researcher with insatiable wanderlust. Abby is a recent University of Oregon graduate who majored in journalism and minored in digital arts. Abby wow’ed us throughout her internship with GRAY and we couldn’t let her go. Overseeing the administrative functions of our office, Tracey keeps things ticking behind the scenes. She has worked in the home building industry as an executive assistant, office manager and administrator for 16 years prior to joining GRAY in 2016. ​She also lends her administrative skills to the Yeates Academy of Irish Dance. A versed distribution manager and newsstand marketer, Bob advises on retail outlets and works with our national distributors and wholesalers to ensure best possible merchandising of GRAY magazine. Bob, though not based in the PNW, is the best in the biz and we had to have him.